When the new MacBook Airs shipped with Snow Leopard on USB disk drives, many of us hoped that the days of DVD-based operating system installs were behind us. Optical media is pretty much dead, after all, largely thanks to Apple’s successful push into digital delivery with their iTunes service. Sure, you need to ship operating systems physically somehow… but as more and more of us jettison our DVD drives, USB is just a heck of a lot more ubiquitous. 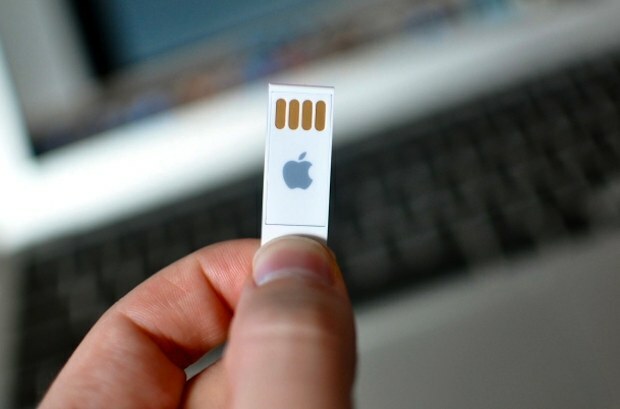 It doesn’t look like OS X 10.7 Lion will be the first Apple operating system to ship exclusively on USB drive, though. A listing for Lion has just popped up on German’s Amazon website, and it’s for a DVD, not a thumb drive. My guess is that users will have a choice at retail — how else to satisfy the need to upgrade of MacBook Air users like me? — but still, it’s a tad disappointing. Maybe Apple’s waiting to go all-in on flash media OS installs until it can be done through Thunderbolt?